A Dog’s Life Can Be Boring! Canis Familiaris (the dog) is the culmination of several thousand years of evolution. A dog’s entire genotype (genetic composition) and phenotype (its expressed characteristics) is directed towards one primary goal – survival! And survival in canine terms means an animal whose instincts are fine-tuned to hunt other animals, catch them, kill them, eat them, and subsequently replicate to improve those instincts and phenotype for the next generation! If we think of our domestic dogs (of which the German Shepherd is the finest example I’m sure you’ll agree), a well kept dog’s only fight for survival might be whether the cat or himself gets on the couch first! Let’s face it, a domestic dog’s life can be dead boring! Unless you own a large property or a farm, the dog’s confines are most likely to be small, uniform and they will have explored every centimetre of it in the first week of settling in! There will be no-go zones (perhaps your fenced off garden or the kid’s playground), no views of the outside world (your fences block the view of the street) and no excitement! In the wild, there are no such limits! Faced with nothing but open skies and endless fields, a dog will hunt some of the day with its pack, crossing streams and ranging through forests; spend more of its time playing or socialising with other pack members; and spend a lot of the time sleeping through exhaustion after these activities. Unfortunately many of our modern canines sleep through boredom rather than mental or physical exhaustion – their lives are too dull to stimulate them and so sleep becomes the best option. ‘Oversleeping’ is the ultimate release for an animal that has no mental stimulation. Other signs of boredom can include excessive barking, repetitive pacing and excessive destructive behaviour. We may not be able to emulate all of the activities our dogs would get in the wild but we can enrich the environment for our domestic dogs. We can give them more of a mental challenge and reduce the boredom and routine that can creep into the lives of even the most mollycoddled of our German Shepherds. How can we do so? Have a read of some of these ideas and see what you think! 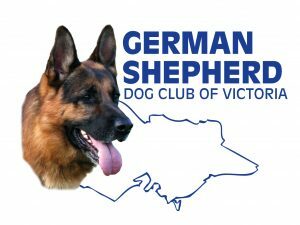 No doubt this is where the average German Shepherd will spend most of its life. Consider this – if like the average owner you take your dog out for a walk for say 2 hours per day, 7 days per week, then the dog will spend 91% or almost ten years of his life in the backyard! Even if you double this ‘out of yard’ time to 4 hours per day he will still spend around nine years of his life in those same surrounds. So even if you consider yourself a conscientious shepherd owner, even with your best efforts your dog could still face a lacklustre life when he is not spending time with you! Does your dog have a view of the outside world? Having such a view will entertain the dog for hours! What blocks that view for your dog? Consider installing ‘see through’ fencing, turning your front yard into a ‘backyard’, or even building a ramp in the centre of the yard so that the dog can see outside but not jump over the fence! Is the backyard designed for your shepherd or do you have an ornamental garden, vegetable patch and other no-dog areas cramping his movement? How much space is actually his? Remember the biggest user of the backyard is your dog, not you or the kids. Dedicate some space to your dog – his own digging pit, activity area, maybe even a simple agility circuit. Rather than a square backyard with no vegetation, plant shade trees and break up the monotony of the yard. Give him some privacy as well, a place where he can’t be easily seen but can watch you for a change – a sort of cave or den! If your dog sleeps outside, place his kennel as close as possible to the kitchen or a window where he can see in to the house. Watching you and your family go about their daily business will relieve his boredom and teach him the routine of the household! Ever thought of leaving the radio on a chat channel when you are out? Your dog may enjoy the sound of human voices or at least keeping abreast of current affairs! and of course I don’t need to mention that the greatest way to relieve boredom for a dog is to have two of them! The companionship of another canine is probably the greatest contribution you can make in relieving canine boredom – just the sound of the heartbeat of another dog, and the ability to ‘talk’ to a member of his same species will greatly enrich your dog’s environment! Imagine if you were destined to eat the same food, day in, day out, for the rest of your life. Every day you would expect the same thing, the same tastes, the same quantity and the same consistency! Unfortunately many of us sentence our shepherds to such a fate. It becomes habit for us to buy the same products, the same dry foods, canned foods, whatever. Variety should be the key for the healthy dog, from both a nutritional perspective and a mental health perspective! – broaden the types of food the dog eats. Try different canned foods. Try different dry foods. Buy fresh meat from time to time – roo mince, steak and kidney, liver, even lamb’s brains! Try ‘health food’ rolls available from your pet shop. Add pasta or rice to the dog’s meal, using one of the meats to flavour it. Buy a can of sardines packed in oil, or tuna as a flavouring to dry food. Cook him vegetables as a filler in the dish. Mix in your dinner scraps with his main meal. The key is to vary your dog’s food but not too radically – his interest in the food will dictate whether you can keep experimenting. Remember at all times that these food are replacements not additions to the dog’s current meals – you must make sure your dog doesn’t put on any extra weight, and if in doubt about a suitable diet seek the advice of a vet! – Think about the presentation of the food. In winter, warm it up; in summer, cool it down. You don’t always have to feed the dog in his bowl in the same place – put him inside for a moment and hide the bowl somewhere in the yard and make him find it! Sometimes don’t put it into the bowl at all and scatter it throughout the yard in heaps – even throw it to the four winds and let your dog use his nose and mouth to find the bits of food all over the yard. On really hot days freeze bits of food, say steak pieces, in an ice cream container and let your dog lick his way to the treat! Find a hollow bone and pack the empty bit with peanut butter or some other treat. Why not place some food in a low branch of a tree, making sure there is no way the dog can be injured? Try a feed cube (like a large dice with a small hole which allows food to escape as your dog rolls it around). Just use your imagination and let your dog exercise his! Shepherds left alone need something to occupy their minds. Better a toy than your shoes or that newly planted garden! You should have a whole range of toys to entertain your shepherd. Not only do toys divert his attention from destructive activities – they should be a key element in playing with your dog. – go to your local pet shop and have a look at the range of commercial toys. Choose robust toys for your shepherd and make sure there are no parts that can be swallowed or cause damage! – make toys out of things you already have. A piece of garden hose; rags tied in a bundle; a plastic bottle with water in it; a lure made from some rope and an old mophead. Your imagination is the limit but please make sure that what you give to the dog will not cause injury; and if you are not sure about a particular toy allow the dog to play only under your supervision! -your shepherd should have at least ten toys that he can play with on his own. You should rotate these toys, maybe leave three with him each day. He should also have special toys that are only out when you are interacting and playing with him! – don’t forget that you are probably your dog’s favorite toy. Spend time with your shepherd running around, chasing, having a play wrestle – however this should be only done on your terms, as we do not want the dog to use this game as a way of developing dominance over you. Such games should only be played with a well socialised dog that shows no aggressive tendencies. – play hide and seek with a third person! You should know how to read your dog and make sure that your dog isn’t being aggressive. If in doubt, speak to your Chief Instructor. Some people view walking the dog as a bothersome activity during cold, hot or wet weather, and see them as good reasons to postpone a walk or cancel it altogether. Others see it as ‘time out’ from the pressures of everyday life, a time to plan on the day ahead or reflect on the day just passed. For your dog it is that special time when the two of you are together and you are the most important person in the world! Dogs need to be walked at least two times a day. The length of the walk is almost irrelevant. Sure a long walk is better than a short walk, but frequency is a key factor. Firstly it breaks up the day for the dog so that it doesn’t spend inordinate amounts of time in the backyard. Secondly it mimics his activity state so that he can exercise, rest, then exercise again. Compacting all of the dog’s exercise time in the two days of the weekend is no substitute for those twice daily walks! You should have at least six different walks in your routine so that he is excited and unsure about where he is going. Some should go to the shops, some to the park, even do the same walk but in a different direction. If you are going to the park, stop for five minute’s training. Take a ball and play! don’t let the weather discourage you from your walks – most dogs love the rain and cold, even if we don’t! Heat of course is a different question altogether, unless you are taking him for a swim! In the old days we kept our dogs in the backyard for fear of them contracting a disease or because dogs weren’t welcome in many areas. Times have changed! Maybe its the europeanisation of our society or just that with more and more people living closer to each other we make more room for dogs. It is critical for the development of good temperament in our shepherds and to develop their potential abilities that we expose them to as many different experiences the world has to offer. The most important period of course is in the first three months of life; but dogs do learn their entire life and you should keep their mind active accordingly. – going for a ride on a train – check out the regulations with your Transport Department! These are just some ideas but you should think about activities in your area or what you do in everyday life that can incorporate your dog. Shepherds are our companions and as such deserve to be involved in as much of your life as possible. I see little enough of my dogs during the working week so come the weekends I choose to be with them as much as possible! Your shepherd may have many friends at his local dog club but that’s a once a week activity! Does he have other doggie friends that he can see during the week? Dogs need to interact with other dogs in a positive manner and that is best done on neutral turf rather than from behind a fence where the protective instinct usually takes over. every park has its resident walking group where neighbours meet and chat while their dogs play together. Check out what happens around your area and whether it is appropriate to join in, taking into consideration your responsibility as a dog owner and your dog’s temperament! Make sure your dog mixes with dogs of other breeds, starting from when he is a small puppy. The last thing you need is for your dog to freak when he sees another breed of a dog! If an elderly neighbour has a dog that needs walking, do them a favour and get another member of your family to take their dog for a walk when you are taking yours. This is a great way to earn brownie points as well as getting another friend for your dog! Two dogs are better than one – they keep each other company and hopefully out of trouble! Now sit down and have a think about what you can do to enrich your shepherd’s environment. Write down on a piece of paper things that you can do from the list above or even things that you can think of particular to where you live and your lifestyle. I am sure you will be able to think of many other ideas! Environmental enrichment is a responsibility we all have to our shepherds and will help in making your dog’s life more enjoyable. And we all want a contented, intelligent dog that is a pleasure to own!